Give Your Online Life A Boost! Great news for UniFi and Streamyx customers. 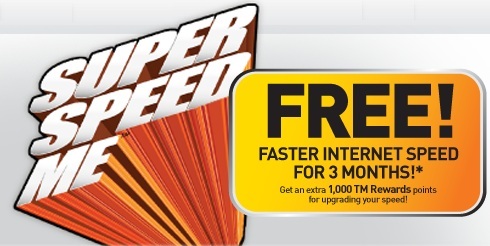 Now you can upgrade your Internet speed, whether it's UniFi to UniFi, Streamyx to UniFi OR Streamyx to Streamyx, and continue paying your current monthly charges for the first 3 months! You only pay the new price, based on your upgraded package from the 4th month onwards. Upgrade now at no extra cost at all.